Visionary director Peter Jackson, as of the recent years, has devoted his directorial career to movie adaptations especially of J. R. R. Tolkien's Lord of the Rings and The Hobbit. The former was a great success, gaining numerous accolades and awards, while the latter gained mixed reviews among critics. It's a hit or miss! Therein lies the anxiety, but luckily for us Peter Jackson passes on the directorial seat to Christian Rivers yet stays behind the scene as producer on his next movie adaptation: Mortal Engines. Mortal Engines is the first book in the 4-book The Hungry City Chronicles series by Philip Reeve. This Universal Pictures feature-length presentation stars Hugo Weaving, Hera Hilmar, Robert Sheehan, Jihae, Ronan Raftery, Leila George, Patrick Malahide, and Stephen Lang. Peter Jackson was joined by Fran Walsh and Philippa Boyens for the screenplay, and produced the movie together with Zane Weiner, Amanda Walker, Deborah Forte, and Fran Walsh. 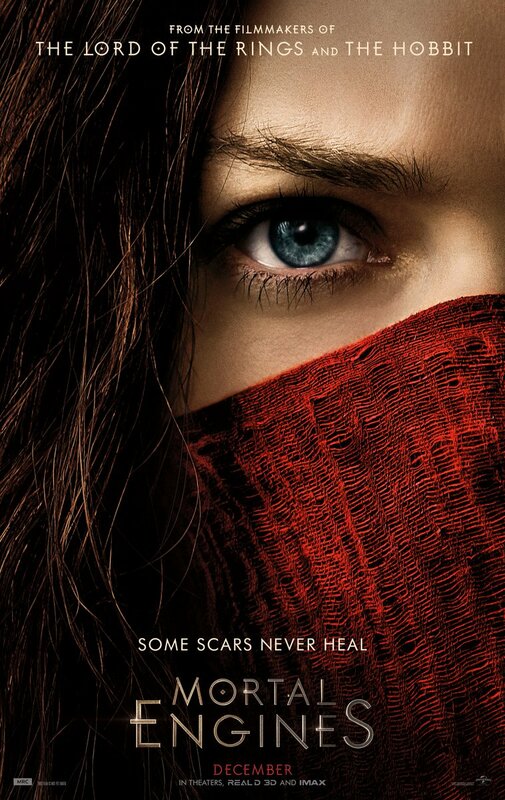 Check out the official trailer of Mortal Engines. Mortal Engines will hit cinemas on December 14, 2018.